The lady can ride. 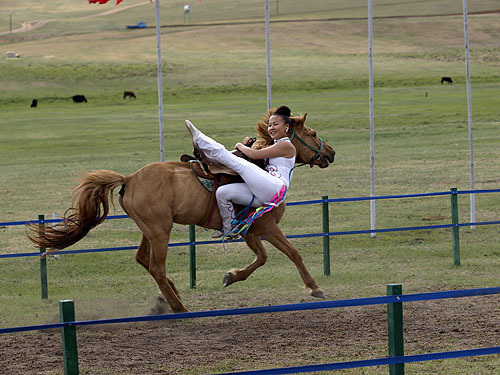 A trick horse-rider in a local show, practising prior to the Naadam Festival. Terelj National Park, Mongolia. Trans-Mongolian Railway stopover.